We often hear in the media about the topic of Australia’s ageing population. Many of these discussions are centred on the challenges of caring for an increasing proportion of the population who are no longer part of the workforce. It is also commonly noted that adult children are taking more active roles in caring for their parents as they enter their senior years. 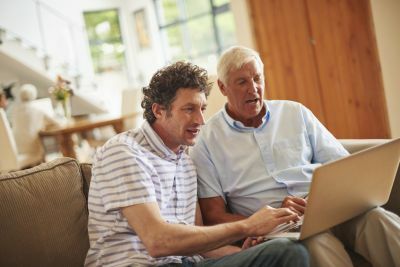 For people who are facing this situation, there may be questions around how best to assist their parents in better managing their financial affairs. This can take many different forms, sometimes even the smallest things can make a meaningful difference. With your parent/s and other family members so you all come to an agreement on the type of support that is necessary. Get across the practicalities. Do your parents have a secure place where they keep their important documents and passwords? Do you know which financial institutions they use? Do they have their own professional advisers? Where do they keep their valuables? Think about whether they can meet their needs and responsibilities. Are they receiving sufficient income to cover their expenses? Is their money appropriately invested to meet their ongoing needs? Are they receiving the government entitlements for which they are eligible? What kind of health cover do they have and is this appropriate to their needs? Including their Will and Powers of Attorney (financial and medical). Are these current or do they need to be revisited? It’s important that your parents receive appropriate professional advice and ensure that important decisions are addressed while they still have the capacity to make decisions. To make it easier for them to manage. This could include setting up facilities to ensure bills are being paid on time, or checking whether they’re paying for services they don’t need. You may want to ensure appropriate credit card limits are set on any credit cards they have, or replace these with a debit card. Protecting them from telemarketers by adding their number to the Do Not Call Register can also help. Whether they are needed in the near future. Are they likely to need specific aged care support and what options are available to them? How may these services impact them financially? There may be things you can do now to prepare for this, including learning about the support available. The government’s My Aged Care portal may be a good place to start. If this is the case, what is the best way for you to assist them financially without impacting any benefits they may currently receive (e.g. Centrelink benefits)? Financial support may include things like contributing to their everyday expenses, giving occasional financial gifts, or helping cover medical costs and care. As you go through these steps, keep in mind that this can be a challenging time for parents who, like all of us, value their independence. A financial adviser can help guide you through this process and advise on how best to structure their finances, and yours, to meet their immediate and ongoing needs.